Russian Imperial Stout has lost just as much of its original meaning as India Pale Ale over the last couple centuries. Both were originally brewed by English breweries, and both names have as much to do with marketing as anything related to where they were exported. 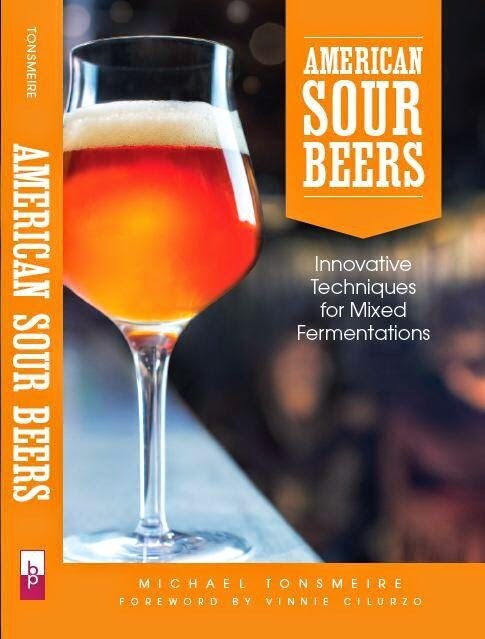 In the last twenty years American craft (and home) brewers have claimed both styles as their own, making them bigger, hoppier, and more aggressively flavored than their 19th century namesakes ever were. In 2007 when my friend James and I brewed a beer inspired by Courage Russian Imperial Stout it was out of necessity. The original (by most accounts the first Russian Imperial Stout) hadn’t been brewed since about 2003, and there wasn’t a hint it ever would be again. Luckily a couple years later Wells and Young's resurrected the beer. For our version we opted to pitch Brett, but subsequently arrest fermentation with campden tablets when the gravity reached the desired point. Luckily the metabisulfite worked and even after more than five years in the bottle the beer is not over-carbonated. Prior to the resurrection of Courage, the only real alternative had been A. Le Coq’s Imperial Extra Double Stout (a beer the parent brewery doesn't even mention on their website outside the description of their porter). It is based on the recipe that was originally exported from England to Russia by a Belgian, and later brewed in Russia (Estonia today) prior to the revolution one hundred years ago. It still has a Brettanomyces character that earlier versions of Courage RIS supposedly possessed, a flavor absent from the current incarnation. Today it is brewed under contract by Harvey & Son in England (which does mention it on their website). After five years of tastings my version alone, I wanted to give it a bit of competition. So I brought a bottle of my batch back to DC from Massachusetts, and dipped into my cellar for bottles of the competition! Appearance – Pours with a thicker than expected dense medium-tan head. Clear brown edges frame the otherwise opaque black body. Decent head retention, leaving some sticky lacing behind. Smell – High-quality, fruity dark chocolate leads. Brandy, vinous, raisins, plenty complex. Sweet almost-but-not-quite vanilla follows. Doesn’t bash you with coffee, char, and roast like so many modern imperial stouts do. You wouldn’t be blamed for thinking the Belgians had something to do with this one, like a roastier version of Rochefort 10. Taste – Sweet enough without being cloying, still some bitterness from both hops and roast to balance. Nicely bready, toasty, really malty. The flavor seems to end with char, but that evolves into dark fruit, and finally bittersweet chocolate. One of the better linger-ers I’ve tasted recently. It doesn’t have the big-bold flavors American brewers have injected into the style, but that may be why wouldn’t mind drinking a whole (9.3 oz – 275 ml) bottle. Mouthfeel – Despite the voluminous initial head the beer isn’t over-carbonated per se, but it is more carbonated than I’d prefer. The result is a beer that comes across somewhat thin, not as full as I want a big complex beer like this to be. Drinkability & Notes – I enjoyed this one considerably more than I did the first bottle I had soon after it was released. As it stands I think this one will benefit from a couple more years, but sadly I don’t have any more bottles. Appearance – Darker than the Courage, basically no translucent edges when held to the light. The head is thinner, coarser, airier, and darker. Smell – Loads of Brett, damp basement, SweeTarts, dusty, very nice. However, there is only minimal stout character, not much roast or chocolate. As it warms I get some tobacco, licorice, and toasted bread. The aroma has a lot in common with my Brett C finished Old Ale. Taste – The flavor is sharp, with a lingering metallic charred bitterness. There is some burnt-roast, but its clashes with the Brett. Acrid is a good descriptor for the overall character. Of the three this is the only one I dumped any of. Mouthfeel – Medium-low carbonation, about right for a big stout. The body is similar to the Courage, a bit thin. Drinkability & Notes – Clearly I like the aroma more than the flavor. More pleasant than many of the corked bottles they used in earlier years. Those tended to be acetic, flat, and watery. Not in love with this one, but it tastes like I imagine a stock stout should, something that would blend nicely with a younger, mellower, sweeter stout. Appearance – The thin tan head recedes with haste leaving a sparse wispy covering. The black beer itself lets the barest hint of light through the edges when held towards a lamp. Smell – The nose has a lot in common with the Courage, but it isn’t as bold. The dark chocolate is there, but not nearly the quantity of dried fruit. I wonder if the new version of Courage includes a bit of dark crystal malt that those of a bygone era did not? The fruitiness of the Brett barely pokes through, much mellower than the Le Coq. Taste – The most drinkable rounded and balanced of the three... I’m quite pleased with how this one is aging-out! The roast is mellow, medium-roast coffee, and bready malt. After all these years, still barely a hint of oxidation with a light soy-sauce flavor just barely evident. Some dried fruit in the finish, slightly sugary, a bit of oak, brandy, and dates. Mouthfeel – Similar to the others, slightly thinner than I would ideally hope for. Not obnoxious, or unpleasant, but not as creamy and luxurious as I’d prefer. Same goes for the carbonation, just slightly more prickly than I like in a strong ale. Drinkability & Notes – It doesn’t have the complex roast and fruit of the Courage, or the raw Brett funk of the Le Coq, but I prefer it to either. Glad I have enough of these bottles left at my parents’ house to keep me in supply each Christmas until 2020 or so. As an aside to any one stumbling upon this article for future reference. Harvey's does indeed still contract brew the Imperial Extra Double Stout for Le Coq of Tartu, Estonia. So if if you can't find one, look for the other, they're identical. AND, the big news to us homebrewers is that the extra yeast found resident for this brew IS NOT Brettanomyces but another spoilage yeast named Debaryomces hansenii. The 2 posts are 15 years apart, so Harveys of Lewes. Sussex has been brewing with this secondary process for sometime. Good luck culturing their strain of Debaryomces from the bottles though.